You have visited multiple stores and won’t find a single piece to gift your love on your wedding. Is it the situation you are facing right now? If so, then not to worry. You still have an option left. Surprised? Yes, we are talking about custom-made diamonds. In fact, it can be the best replacement for your ready-made diamond. Have you ever bought any custom-made diamonds before? If not, don’t worry we will guide you on this. 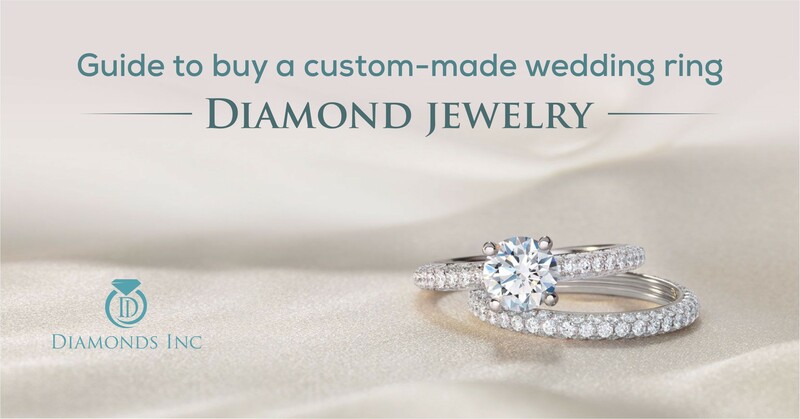 Follow this blog, to know how you can buy a custom-made wedding ring from the store. We will give you 7 general tips so that you can buy the best custom-made wedding ring from the collection. As you are creating your diamond ring, you should have a handful of time. 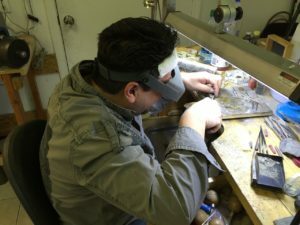 custom-made jewelry takes time and the work goes on a process. First, you need to consult the designer, the designer creates the sketch based on your idea, you choose the diamond type and shape, he makes a raw mold of your ring, review it, and finally get your ring done. This overall time truly depends on how much the creator is experienced. If you need to get your diamond wedding ring in few days, then you must check it out the professionals available in the market, who can bring down your thoughts and ideas within few days. So we will recommend you to start early get your exact design done to perfection. To buy a perfect jewelry what you need is a perfect jeweler. There are several diamond jewelers in the market ranging from top to small traders. Some are genuine and some are fake. 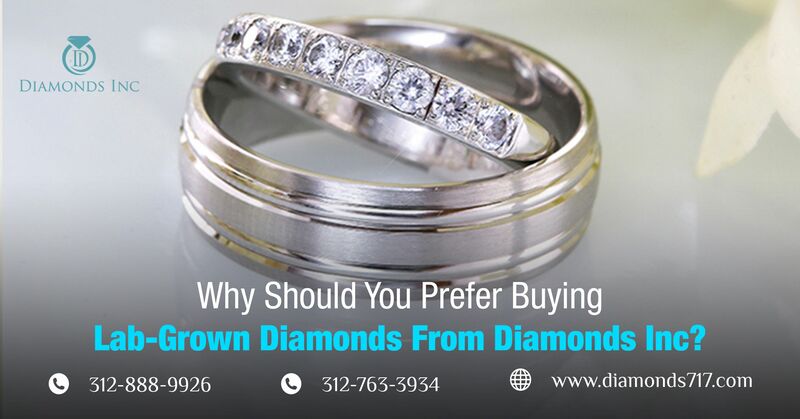 You may come across some traders that sell diamond stimulants in the name of real diamonds. So make sure the jeweler is creating your wedding ring with certified diamonds. For this, just have a research on the reputable jewelers over the web or ask your family members or relatives or friends if they know any. Before moving on to the shape and style of a diamond, you need to look for the 4 C’s of a diamond. Cut, Colour, Carat and Clarity are the main four characteristics that make a diamond a real one. After you are ensured about its quality, you should look forward to a diamond that is within your budget. Often people like to purchase round brilliant cut diamonds. These diamonds are known for its brightness and fire and thus are too expensive than others. If you think you can afford it, then you are always welcome to go for it. Otherwise, drop the plan and think of something else. Cushion cut, heart-shaped, emerald cut diamonds are less expensive compared to the round cut diamonds. Choosing a perfect diamond wedding ring is very necessary. Know deeply about the cuts of the diamond you are choosing and its significance to your life. Once your design is done, the value of the ring will depend on the diamond you choose. What happens if the diamond you have chosen is a fake one? All your money will be in a drain. That is why it is necessary for you to keep an eye on the quality of diamond the jeweler is providing you. 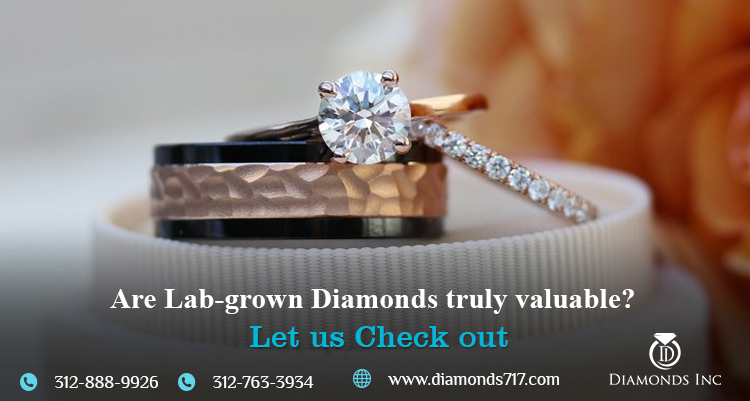 You must be knowing, real mined diamonds are quite expensive and rare to find in nature. So as its substitute, New Dawn Diamonds or Lab Created diamonds are grown in the gems lab. Hope you have also decided to purchase these diamonds and save your Earth. If not, you should. These are not duplicate diamonds and possess all characteristics of a real diamond. So we will recommend you to go for such pocket-friendly diamonds. 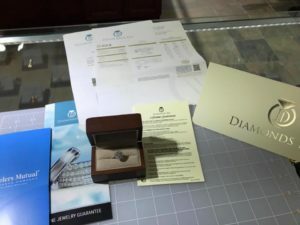 To know whether the stone is genuine or not, the jewelers are meant to provide GIA certificate along with these diamonds. 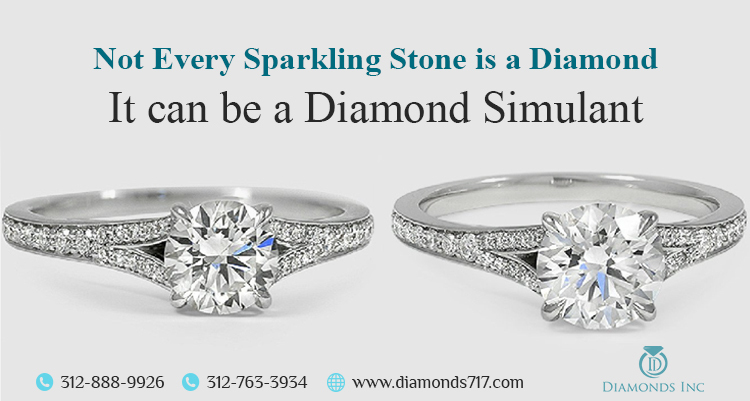 You may also perform different diamond tests to detect whether it is a fake stone or a true diamond. The jeweler will try to pressurize you for the high rated diamond settings. But you should be confident enough to choose the best but less expensive diamond settings. A custom-made wedding ring can cost more if you can’t tackle all these. Do you know what are the different diamond settings that you can put on? If not then check out that first on our blog, different diamond settings and decide yours. Imagine how will the wedding ring look like, when she will be wearing it on her finger. Show your creativity and express your hidden talent. This is the best way to express your feelings through a ring. With your whole heart, design the mixture of your imagination and her preference and create your art. If you feel uncomfortable to create the design yourself, you can go to the jewelry designer or just book an appointment with any jewelry designer, or come to us and we will create your vision and dreams and show you how it will reflect. A pencil sketch something like this and then create the CAD design too. While creating something extravagant, you should not forget your estimate. Most of you will say, customizing wedding ring will raise your budget. But this conception is totally wrong. The price of a custom-made wedding ring truly depends on the ring metal, the diamond type, and the overall design. If you choose them deliberately, then no one can resist you to buy such ring at an affordable rate. Gifting a custom-made diamond ring will not only be priceless to her, but it will also give you a platform to design your talent and bring out your creativity. Hope these tips will help you out to buy a customized ring for your love and make her wedding night quite special. Don’t think much. If you still have 7 days in your hand, you can look for such jewelers who promise their clients to deliver their respective product in 3 days. Rather you can also contact your known jeweler, from where you have already bought diamonds before. This will have two advantage. One you can easily request them to create your ring on time and ask them to lower the cost. Cost of a diamond ring really matters. What if you can’t give a diamond to her? Is this will create differences in your wedding life? Read the blog how different alternatives can be the substitute for your diamond ring and decide what you should choose. 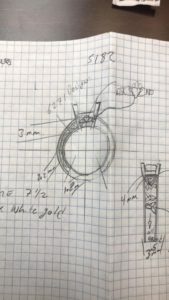 I appreciate that you say custom-made jewelry takes time and you first need to consult with the designer so that they can do a sketch and get an overall feel for the look of the ring. My brother is planning to propose to his girlfriend soon and he wants to make it special by choosing a custom design. 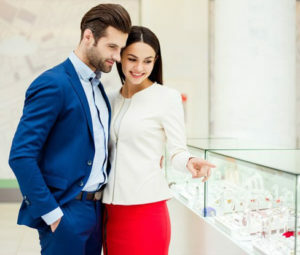 I will definitely tell him to think about ways to lower his budget by choosing the ring metal and diamond time that will fit within the price range that he wants. He can get a custom ring without breaking the bank! I like that you mentioned that it’s okay to take time. I think that, especially with a purchase like this, it’s important to make sure that it’s done well and that it’s perfect. This is a really good thing to keep in mind and I hope that my brother is thinking about this before he goes ahead and buys his girlfriend a ring.